Hope you are keeping well. Thanks for the challenge as always. Here is mine this week. Thank so much! :)There were a lot of rainbows about this spring. http://wp.me/p4ayEo-1Ep here is my short link in case the ping back doesn’t work! Another fun prompt – thanks! Hi Ronovan, here’s my try on this week’s prompt. Hi Ron! Congrats on releasing your new anthology! 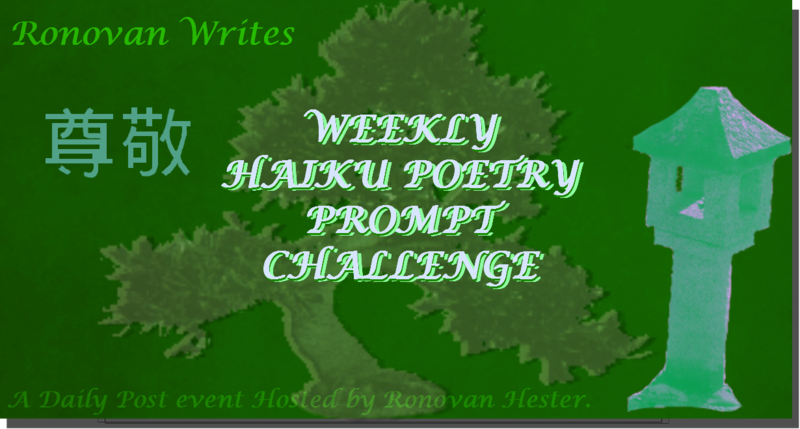 Thank you for hosting another week of this fun prompt challenge. Here’s my contribution this week. http://wp.me/p3eYyj-Id Have a great weekend!